Peter Thomsen's Student Brynn Cartelli completes Monday night competition with a song they worked on "What The World Needs Now Is Love" This concludes the Semi-Finals on NBC's The Voice. Tonight The final four winners will be announced. Go Brynn! 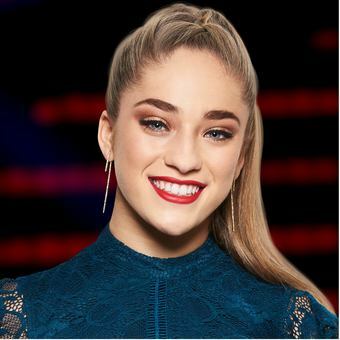 Monday April 16th Peter Thomsen's voice student Brynn Cartelli continues to the live competition on the TV show, The Voice. The show will take place in Culver City, California, It starts at 8:00 pm EST and will begin the final elimination to choose this year's winner. Brynn is 14 years old, began her piano lessons with Abby Thomsen, and today studies voice with Peter Thomsen. We are thrilled and excited for her amazing success so far. Next week's shows will be the true test. Each student must have 2-3 musical selections ready to play for their class. Classes will meet from 4:30-5:30 pm and from 6-7 pm. Abby Thomsen will perform at the Roomful of Pianos at the NAMM Show on January 26, 2018, at the Anaheim Convention Center in a program for 20 pianos.